← Chain of Command: Who Handles Your Content Marketing? When it comes to something as important as your job search, you obviously want to use every tool that’s available to you—and believe it or not, that’s a list that includes far more entries than just LinkedIn! While LinkedIn is far and away the most ubiquitous and the most frequently written about job search tool out there, it’s not the only resource you should have in your job search tool kit. Take, for example, Google Alerts. 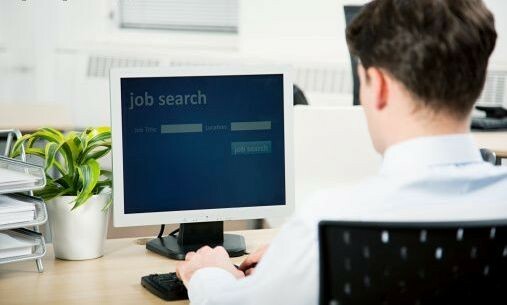 There are a number of ways in which Google Alerts can prove useful during the job search process. For starters, you can keep tabs on the companies you’re most interested in. Do you want to work for Apple? Then set up a Google Alert for Apple, and stay on top of developments with the company. For smaller businesses, this will work even better, because you can stay informed about new locations or potential “help wanted” announcements. More generally, you can use Google Alerts to follow key industry trends, ensuring that, when you go in for a job interview, you are prepared to discuss your chosen vertical intelligently and confidently. Finally, don’t neglect the importance of setting up a Google Alert for your own name—making certain that you know where your online reputation stands at all times! Has anyone ever found his or her dream job on Twitter? Probably not—but that hardly means it can’t be used for purposes of career advancement. As with Google Alerts, Twitter can help you keep dialed in to your industry and informed about all the latest trends. You can search industry-related hashtags to find out what all the buzz is about, and follow industry influencers and thought leaders to absorb some of their wisdom and insight. Again, it’s all about going into job interviews with confidence and a full range of knowledge. Grammar Chic recently blogged about the importance of a Google+ page for small businesses—and now we’ll tell you that individuals need to be on Google+, too, especially those in the market for new work. Why? Because employers and hiring managers are going to search for you on Google—and a Google+ profile is all but guaranteed to be one of the top listings they find, assuming you have an account. Optimize your online search results. Start a Google+ account and update it regularly with professional insights, articles, and updates. Keep it focused on your career and your niche, and in the long run it could really help you to impress employers. Finally, you need to have a resume—and when we say a resume, what we mean is a resume that’s distinct from your LinkedIn page. LinkedIn is certainly helpful for listing your career experience in a way that’s optimized for search, but a resume is altogether different—and should be formatted as such. If you don’t have a separate resume that you can pass around to recruiters and that is appreciably different from your LinkedIn page, then you need to get one ASAP! Of course, our Grammar Chic resume team stands ready to help. Learn more about what we offer today. Call 803-831-7444 or visit http://www.grammarchic.net.